What is the business planning cycle? I think we can all agree that people get very confused about where to start in their business planning. But what if I told you that there is an easy model to follow? In this video I’m going to share with you the four areas of decision making and planning that will allow you to have a pathway for being able to do your planning and do it well. Stay tuned! 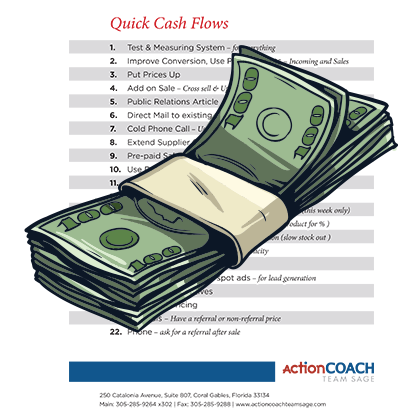 Hi, this is Jody Ann Johnson with ActionCOACH Business Coaching, where we help small business owners to grow their companies, free up their time, make more money and be at choice. 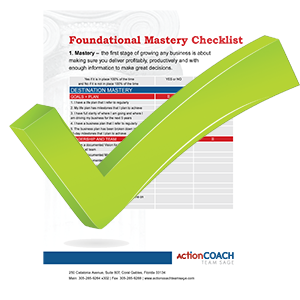 The four areas that I mentioned to you at the onset of this video actually come from Vern Harnish’s work, in his book Scaling Up. The first one, if you think of it as the 12 o’clock position, is people. At the 3 o’clock position on the clock, is strategy. At the six o’clock position is execution, and at the nine o’clock position is cash flow. 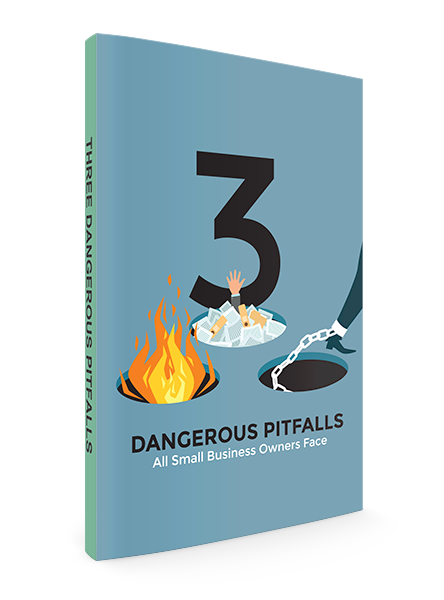 All of these four are areas that every business has to make decisions in and plan around. And there’s no right place to start. Actually, depending on the season of your business, the season of the economy, what’s going on in the macro and the micro in your community, can lead to where you should start. But wherever it is that you’re experiencing challenges in the business, you’ll probably want to start at the one just before that. So let me give you an example: strategy. People are often saying: well, my strategy: I don’t know why we’re not able to move forward. It can be one of two things. It can be that the strategy is either unclear or it hasn’t been communicated effectively to the team, so they can’t execute on it. The other reason the strategy might not be fulfilling in the company right now is: do you have the right people to fulfill on the strategy that you’ve designed? I had a client who had an air conditioning franchise and he was saying: we have a strategy, it’s very clear, it’s all laid out. I said: I’m a client of yours and I can tell you that it’s not the strategy itself, but the people who came to perform the work at my home. They were not capable of fulfilling on that strategy, they were not a match for the vision, mission, culture and strategy of your franchise. So it could be that it’s not clearly articulated or communicated, defined and given to your team, or it could be that the team is not the right team to fulfill on the strategy that you have. If we go down to execution, is it clearly articulated? And do they have the tools, the means, the resources to execute on that strategy? Sometimes it’s the resources of people. Right now (particularly right now) – do we have the right people to actually execute on this strategy, with challenges in unemployment being as low as it is? You may not have the right people or the right tools. Sometimes it’s a matter of actually having a more efficient way of accessing data. Do you have a contact management system that allows people to go in, cloud based from anywhere, and execute on things or project, or do they need to be waiting for somebody to hand them that piece of paper in order to make it happen? I know it sounds like people don’t really work that way anymore, but I promise you – they do. I go into businesses all the time where very outdated processes for communicating in the organization are still in place. If they execute well, it should lead to cash flow and financial results. If they’re not executing well, you’re going to have challenges in cash flow. If we can’t get the right people, sometimes it’s a matter of we don’t have sufficient money to hire top talent. So we have to settle for less than what we would want to hire because we just don’t have the financial means of doing that. So when you look at your planning, these are the four key areas to be considering: the people strategy, strategy of your business model and how you actually go about growing in the marketplace, how well you can implement and execute on the strategy that you have, and do you have the financial resources and results in order to be able to have it all work. Look in your business and see: which one of these do I need to shore up in the next quarter, or in the next six months, or in the next year in order to get to my strategic objective, or my purpose, or my goals for this company and start working there. I know from my own self this year I said: in the next five years we’ll have an employee owned company. So what do I need to do first? Who do I need to bring in first? And for us, it was to bring in a financial person who could manage all of the spreadsheets, free up my time for marketing to collaborate with our marketing person, and then ultimately at the end of the year to bring in another coach. So the idea of what needs to happen first for us started with not just our own financial position, but making sure that we can get our clients to a financial position that was strong for them, so that they could get the right people, so that we could fill on the strategy and execute on it. And you see how that goes. So those are the four key areas and they’re from Vern Harnish’s work in Scaling Up. I was certified as a Gazelles coach and this idea of a model of looking at the business is a very good way of approaching your business planning. So the four areas, one more time: people, strategy, execution and cash. As you go through the planning, keep in mind the next economic cycle that we’re in, those seven to 10 year periods of time (where are we?) when you’re looking at your own planning in that economic cycle. Also keeping in mind that we’re disrupting every industry across the board, that we’re going to be, as business owners and leaders, required to keep agile, nimble and learning. Successful people are always learning, and practicing, and paying attention to what’s going on around them. So what got you here won’t get you there, and definitely won’t get you there as we continue in this exponential growth of technology that’s transforming our world like second by second. So the learning that you need to do and the attention that you need to pay: my recommendation is that you follow some of those futurists that are out there, like Peter d’un Monte’s, Verne Harnish and Roger Hamilton, that are sharing what’s ahead. So as you do your planning in those four areas, you can be focused on the one that’s going to make the biggest difference for you going forward. Thank you for watching, and if you got value from this video, please like and subscribe to my channel.